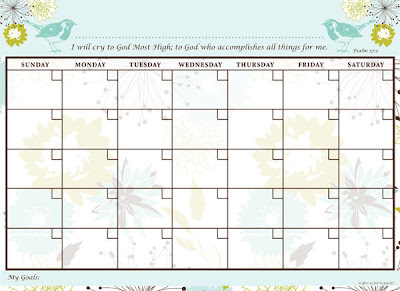 Operation Organization: Professional Organizer Peachtree City, Newnan, Fayetteville, Senoia,Georgia: Get Organized with Dry Erase Peel & Stick Products by Scripture Art! 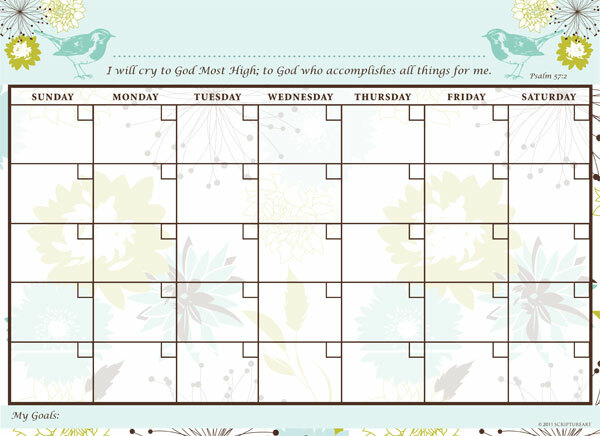 Get Organized with Dry Erase Peel & Stick Products by Scripture Art! I want to introduce a few beautiful and functional organizing products that promise to help keep you organized! ScriptureArt.Com has a simply fantastic line of Dry Erase Peel & Stick Products! The best part? You can put them up anywhere! They stick to any smooth surface - no magnetic surface required!! You can also remove them and reposition as needed or desired. When the kind folks over at Scripture Art asked if I would be interested in reviewing a few of their products I was thrilled! Initially, I had a difficult time decided what products I wanted to try. In addition to the beautiful artistic and inspirational wall decals, they also feature meal planners, potty training charts, chore charts, growth charts, and much more! Finally, I settled on a dry erase calendar once I remembered that upon moving to our new home, I would be needing to find a new solution for our family calendar. 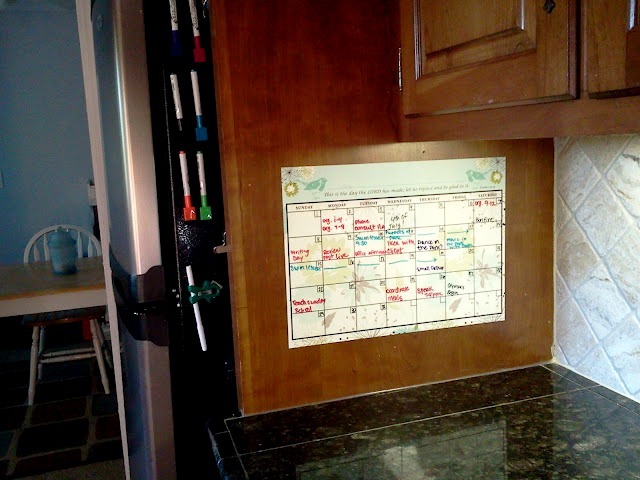 Previously, I was using a large dry erase calendar attached by magnets to the side of the fridge. That solution would not work in our new place as that fridge was enclosed by the cabinetry wood. That's the beauty of the peel and stick - this calendar can be attached to literally any surface with no damage or residue left behind! I initially tried it on a door and on a painted wall before habit won out - attached to the cabinet surrounding the fridge. The size is just perfect - not too big and overwhelming, but large enough to print several events per day if needed. And because it's dry erase, you can use it over and over again! The calendar comes with a fine point black marker, but I like to color code our activities. The regular dry erase markers that I had been using on our previous calendar still worked beautifully. There was such a wide array of design choices to select from. I chose the 'Julia Bird' design. They also included a 'Julia' White Board that complimented the design of the calendar! 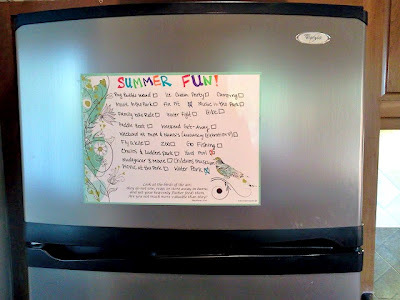 It attached beautifully to the front of the fridge to feature our current 'Summer Fun' list! I love that I have the flexibility to easily remove either of the products to another room in the house (like my office space) with absolutely no mess or fuss if the need or desire strikes. ScriptureArt.com wants to give Operation Organization - MN readers a special discount! Use the coupon code '0perationOrg15' to get 15% off any item on their site!! What product is your favorite?? 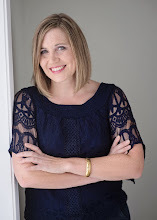 Disclosure: On occasion I receive one or more of the products or services mentioned in some of my posts for free in the hope that I would mention it on my blog. Regardless, I only recommend products or services I would personally use and believe my readers will enjoy. All the opinions are my own. Some of the links on this blog are affiliate links. If you click on those links and make a purchase, I will receive a small commission. This is greatly appreciated and enables me to share wonderful products and services to you. The code isn't working for me....can you help? Oops! The discount isn't applied at the top of the checkout screen. You have to scroll all the way down to the bottom to see it. Thanks. My "Alice" calendar is on its way! Such a neat product.